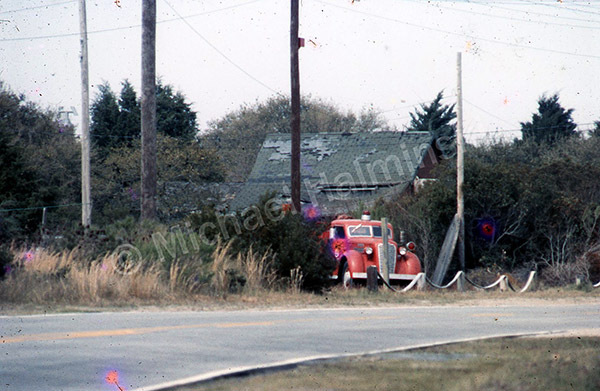 There were some things around in the 70’s, remnants of folks living in Salvo long before me. In retrospect I wish I had taken a lot more pictures of those relics. Each year that goes by brings change. In with the new, yet the old ways deteriorate and eventually are gone. I always enjoyed the rural feeling, especially in the village of Salvo. There were remains there that I saw nowhere else. The old homesteads were simple and functional. Mr. Perry Farrow’s place was a hundred yards from a trailer that I rented. Cisterns were a common source for water. They called it sweet water. 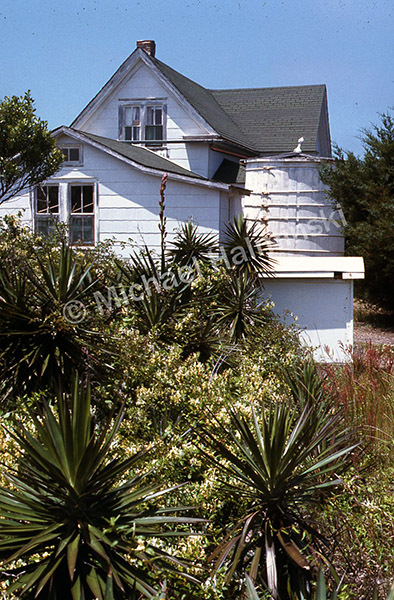 At the south end of town, the Whidbee place sat in a gorgeous, well sheltered maritime forest. Years later when the surrounding property was sold to a developer, most of that pristine forest was cut down. 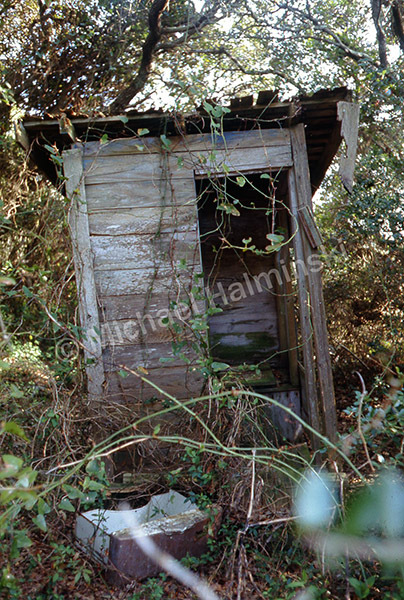 Nearby stood an outhouse that no longer served a purpose. The Salvo fire truck was parked in a lot next to the long-abandoned Community Store that was beginning to fall apart. 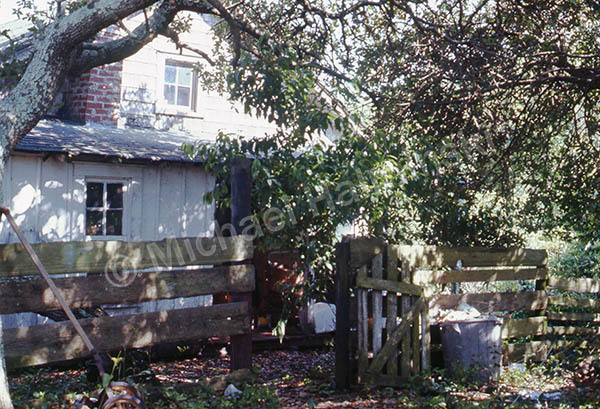 I never met Miss Kitty, but her old home next to Dan Leary’s store was covered in briars, honeysuckle and poison ivy. 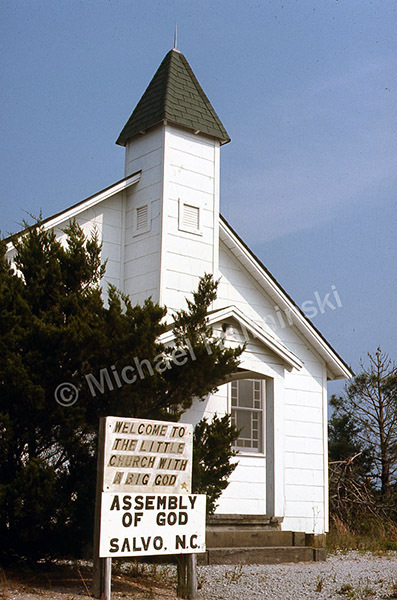 One of the most well-maintained buildings in town was the “Little Church with a Big God”. 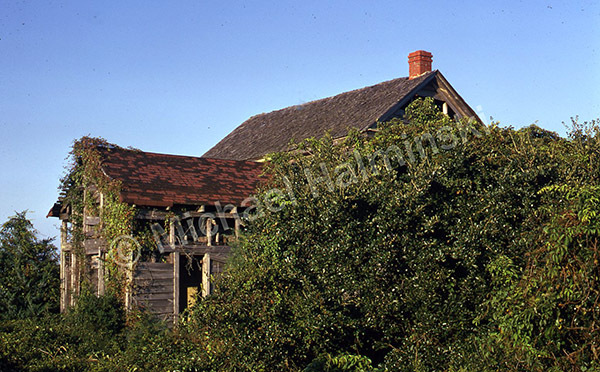 I remember hearing about Lucy Hooper salvaging timbers from shipwrecks to build it. She was a pillar in the community and by the time I met her, she was getting quite old. 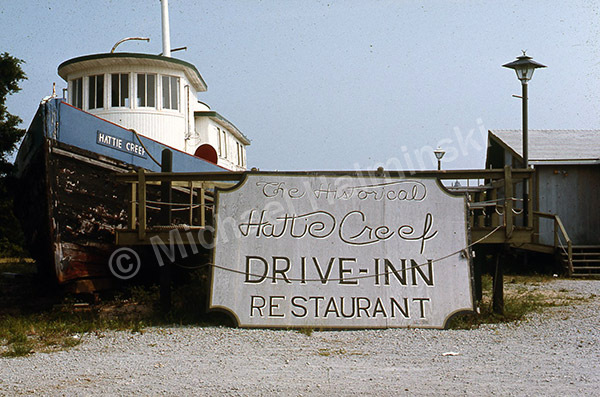 In the old days, the Hattie Creef was a mainstay of Outer Banks travel, and even played a role in bringing the Wright Brothers to Kill Devil Hills for their first flights. The boat was brought to Salvo and made into a most unusual restaurant. Fathers fished for a living and passed it down to their sons. 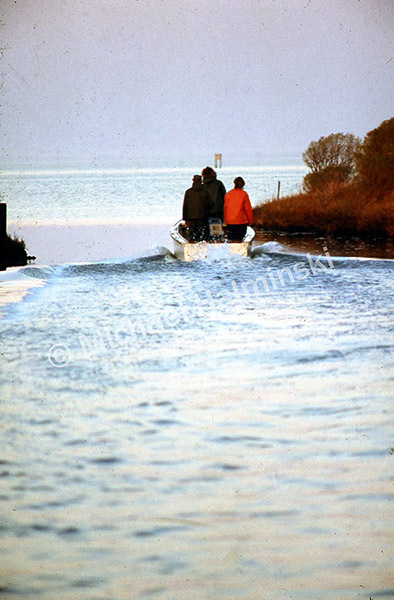 One day in 1975, I watched as I D Midgett was getting underway from a Salvo creek in a wooden skiff with his sons. This just doesn’t happen here any more. This entry was posted in buildings, history, Outer Banks, People on March 25, 2016 by j0jgvm89bj.